I've never had a solid haircare routine: I wash it 3/4 times a week, condition it sometimes and use dry shampoo the day after a wash. Not that extensive. So it was probably about time I started taking care of my hair, especially since I'm trying to grow it a bit longer, and maybe even grow out my fringe. I suffer from greasy hair at the roots and really dry, brittle ends. I could never find a shampoo that could solve these problems. The ones for greasy roots dried out my ends and the ones for dry hair made my roots even greasier. It was an endless cycle of shampoos making one of the problems better but the other worse. I saw that L'Oréal were bringing out a new shampoo, conditioner, masque and dry shampoo. I like their thickening shampoo, which they released a few years back, so I knew I would like this one. After reading up on Extraordinary Clay I knew I had to invest in the 3 point treatment. 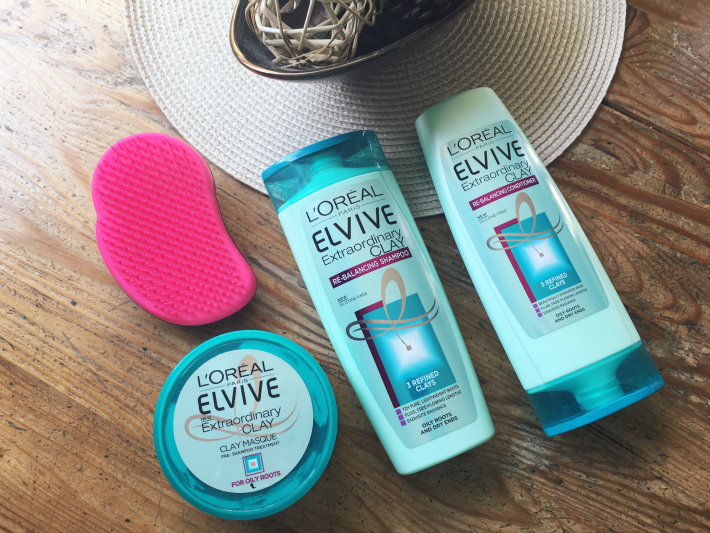 The 3 are designed for oily roots and dry ends - right up my street. The Pre - Shampoo Masque is incredible. You use this on your roots before washing it off and massaging in the Re-Balancing Shampoo, followed by the Re-Balancing Conditioner on the mid-ends of your hair. All pretty simple but with amazing results. 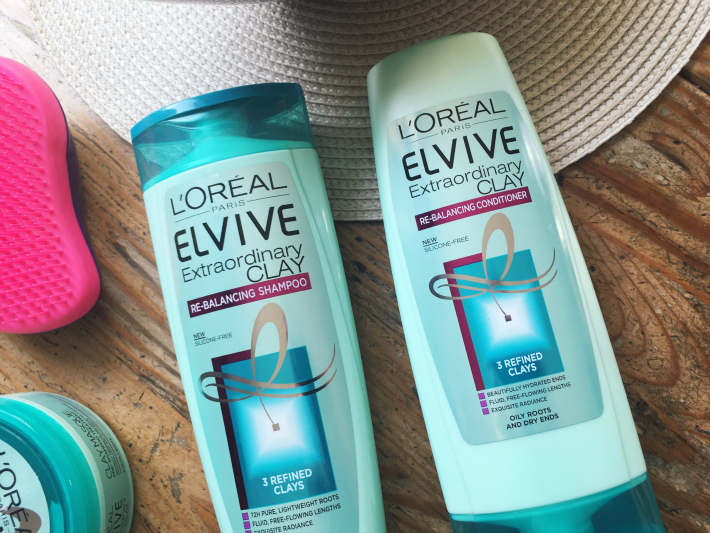 L'Oréal have combined 3 refined clays to combat the excessive oil at the roots but also dehydrated ends. It all works perfectly, particularly when you use the masque, which absorbs any excess oils and impurities. I didn't think it would work this well to be honest. I've long given up hope with shampoos tackling my greasy roots and dry ends. But this honestly works a treat. My hair feels lighter and softer at the ends, whilst also maintaining a grease-free scalp for longer. Don't get me wrong, I still get greasy ends but nothing a dry shampoo can't fix, and not to the extent it used to be. I also invested in a Tangle Teezer. My hair is quite fine so can get knotted quite easily. I have no idea why I've never used one before - I can confirm it's fantastic! It gets through my knots really easily and makes my soft hair from the clays feel even softer. My hair hasn't felt this good in a long time! I'd definitely recommend L'Oréal's latest release. Will you be buying it?